The people who know me personally always give me a lot of grief about my wardrobe, or rather, the lack thereof. I keep turning up in the same outfits every single time. It’s not that I have a drought in the attire department, but rather I have a few favorite shirts that I keep on wearing. This is compounded by the fact that I am an impulsive shopper. Worse still, I am an impulsive shopper who tends to get the urge to shop at totally random moments (usually twice a year) and comes back with a shitload of clothes, most of which I wouldn’t wear (see favorite shirts above). 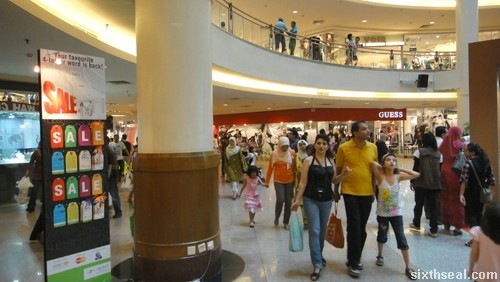 I don’t go during sales or the usual periods people shop – I go when I feel like it. This is generally detrimental to my financial wellbeing as I shop on credit so when the credit card statement comes at the end of the month, my reactions range from being slightly taken aback to downright horror. I have several credit cards but no debit card so when I saw Alliance Bank’s Debit Mastercard I decided to take it for a spin. 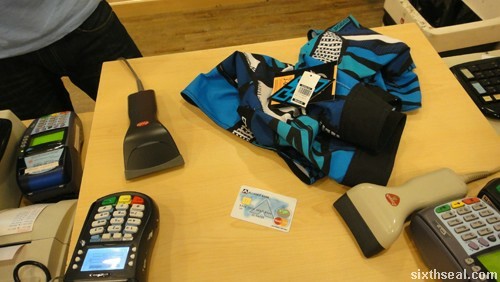 I had an urge to shop and decided that a debit card would be a better one to use during my retail forays. 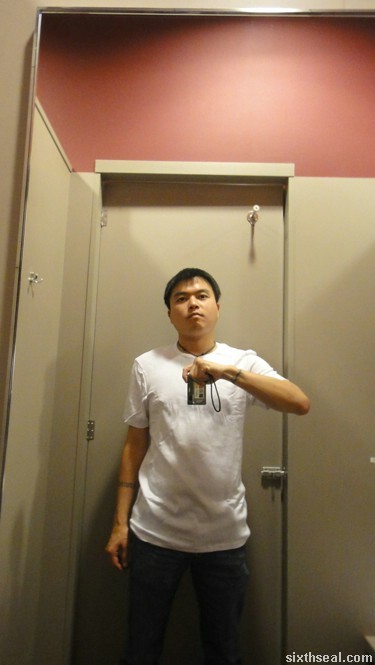 Yes, contrary to popular belief, I do actually shop for clothes – else, where would all my shirts come from? I set RM 750 as my daily spending limit – no more RM 5,000+ credit card bills (happened to me a couple of times). I hit the shopping malls and got the stuff that I really need. I decided that this time I’m going to buy items that I will wear regularly instead of one off items like the RM 575 jacket I got two months ago which I’ve only worn once. This is one item I don’t have in my wardrobe. I have Speedos and Bermuda shorts but nothing even resembling board shorts. Why would a 29 year old who doesn’t surf need board shorts? Well, it’s perfect as beach wear! I had a string of beach vacations planned and I thought this would be a good investment. 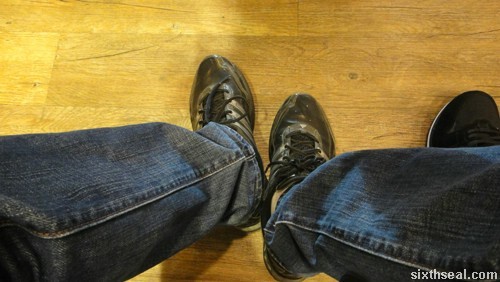 Besides, I haven’t bought a pair of shoes in ages, I’m still wearing almost 2 year old adidas tennis shoes. I figure it’s time to change the tatty pair of smelly shoes for some new ones. 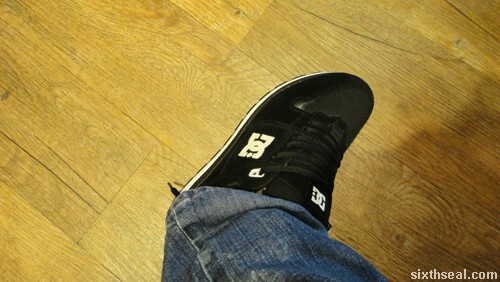 DC shoes is not a brand I would choose to buy but one of my ex-girlfriends really loved the brand and bought a pair of them back from Australia for me. I spotted the DC footwear line and decided to get a pair – it’s useful for weekends and it’s also a pair of sneakers so it’s quite comfortable to wear. This is an essential item in all men’s wardrobes. I didn’t know that until a recent image consultancy that I went for. I’ve never had the habit of wearing singlets or anything like that under my shirts. To be perfectly honest, I think that practice is incredibly old fashioned and slightly repulsive as only octogenarians (like my late granddad) do that so he can wear his shirts more often without the need to wash it. However, during my image consultancy, I was told that wearing a vest under your work shirt actually bulks you up and makes you look buff and more authoritative. I’m all for that so I grabbed a couple to wear when I go to work. It’s RM 79 for 3 x 100% cotton vests so it’s a pretty good investment. I spent less than RM 750 that day which is really good. That’s the benefit debit cards give you – you don’t spend on credit, you only spend what you have. 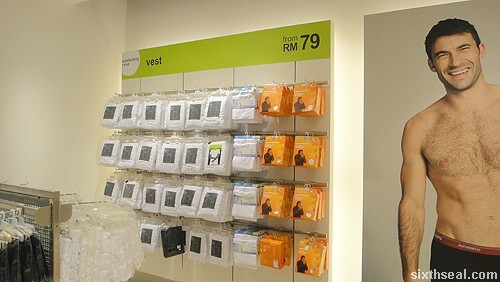 Even better, I set RM 750 as the daily spending limit and the transaction bounced during the Mark and Spencer purchase so I took a pack of vests out. Nifty, eh? I’m using the Alliance Bank Standard Debit Card under HYBRID savings and the best thing about this card is that you get instant 1% cash back on all your purchases. It goes up to 2% cash back for the Premium version. I also really liked the financial control the card affords you. You can set a daily spending limit like what I did so you won’t go over a pre-planned amount that you’re willing to spend. With more than 1.4 million ATMs around Malaysia, you won’t have any trouble changing your spending limit too! Find out more at my.alliancedebitcard.com. hi everyone, my found is european and i righteous want to say that this is an superior journal post and i really initiate it accommodative, would it be okay if i submitted posts to this blog around topics i found engrossing? A friend without faults will never be found.”After you” is good manners. If you’re interested in having a guest blog articleser please let me know. I will provide you with unique stuff for your webstie, appreciate. credit cards for people with fair credit I’ve been looking so long for decent sites for good information. Thank you. I used to be more than happy to seek out this internet-site.I wanted to thanks in your time for this wonderful read!! I definitely having fun with every little little bit of it and I’ve you bookmarked to take a look at new stuff you blog post. Thank you a lot for giving everyone remarkably splendid chance to check tips from here. It really is very fantastic and as well , full of a lot of fun for me and my office peers to search your blog at a minimum 3 times in a week to read through the newest tips you will have. And of course, we are usually astounded with all the dazzling information served by you. Selected 4 points on this page are unequivocally the finest I have ever had. A formidable share, I simply given this onto a colleague who was doing a bit analysis on this. And he the truth is purchased me breakfast as a result of I discovered it for him.. smile. So let me reword that: Thnx for the deal with! However yeah Thnkx for spending the time to debate this, I feel strongly about it and love studying more on this topic. If doable, as you grow to be expertise, would you mind updating your blog with extra details? It’s extremely helpful for me. Large thumb up for this blog post! I have realized some new items from your web-site about pcs. Another thing I have always thought is that computers have become something that each residence must have for several reasons. 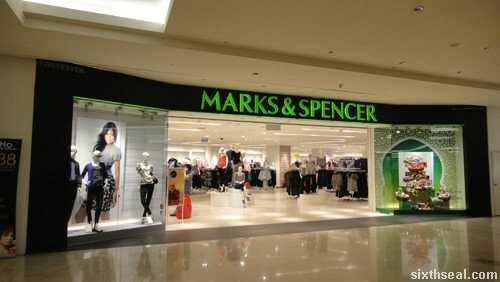 They supply you with convenient ways to organize homes, pay bills, shop, study, hear music as well as watch tv shows. An innovative way to complete these tasks is by using a laptop. These desktops are mobile, small, robust and mobile. Caecilius Statius~ He plants trees to benefit another generation. Attitude might not catch fish, but it helps when you don’t. Rattling nice layout and fantastic content material , nothing else we require : D.